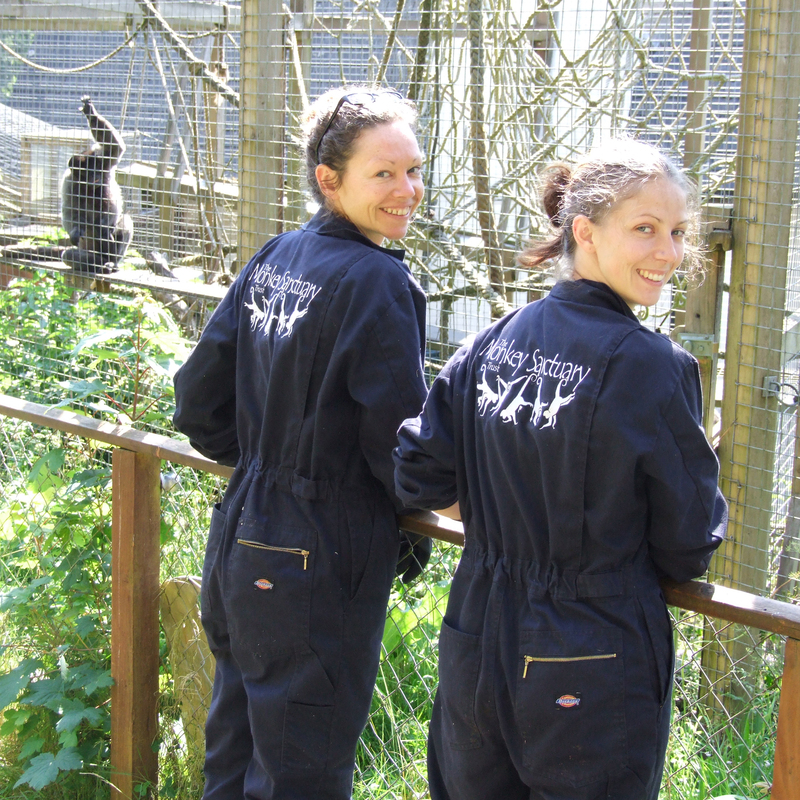 Experience being a Primate Keeper for a Day! All the money we raise through this scheme goes to support our charity’s work, so your day as a keeper will be making a difference to primates and habitats worldwide too! During the open season at The Monkey Sanctuary, we run full day experiences for those who have always wanted to know what it is like to be a Primate Keeper. 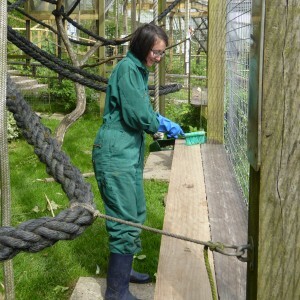 Working closely with experienced members of the Primate Welfare Team, participants gain a behind-the-scenes insight into their roles and become involved in important aspects of the monkeys’ lives. Start the day by meeting one of the sanctuary’s primate care staff for a talk and a quick drink, before mucking in to clean out the monkeys! Then get introduced to some of the rescued capuchin monkeys and hear their incredible stories, before foraging for edible wild leaves for them to eat. After lunch it’s time to get back to work, ending the day by preparing food for the Barbary macaques and fun enrichment toys for some lucky monkeys. View our video of Heart FM presenters Matt & Caroline trying their hand at being a Keeper for the day! This unique opportunity to be a primate keeper for a day is only £160 per person or £250 for two people. Please Note: As a “hands on” experience, you will be required to work alongside the trained primate welfare team in any weather conditions. The work does require some physical exertion. Please ask for advice if you have any medical condition or disability that you are concerned may affect your ability to enjoy the experience to the full. We will make every effort to adapt the experience to your needs. There is no direct contact with the monkeys at any point during the day. For insurance purposes, the adult scheme is only open to those aged sixteen and over.